The 2018 Rugby Union Six Nations Championship gets underway today. Defending champions England are looking to become the first nation in 135 years to win the title outright for three consecutive years. They have lost only once under coach Eddie Jones - against Ireland in last year's tournament - and start the defence of their title tomorrow against Italy in Rome. Today sees Wales vs Scotland and France vs Ireland. The 2018 Six Nations Championship will be "the most competitive year ever", injured British and Irish Lions captain Sam Warburton has predicted. 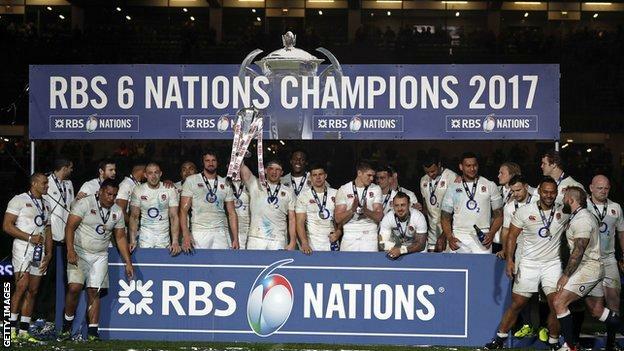 Back-to-back title winners England are aiming to become the first nation in 135 years to win the title outright for three consecutive years. But Warburton, who will be a BBC One pundit, believes no nation will remain unbeaten in this year's tournament. "We won't see anybody winning the Grand Slam this season," he told BBC 5 live. "This is the most competitive year since the tournament became the Six Nations. There are definitely four teams, and potentially France, who can all beat each other. It's wide open." Wales face Scotland in the opening match of the 2018 Six Nations in Cardiff on Saturday, before Ireland travel to Paris to play France. 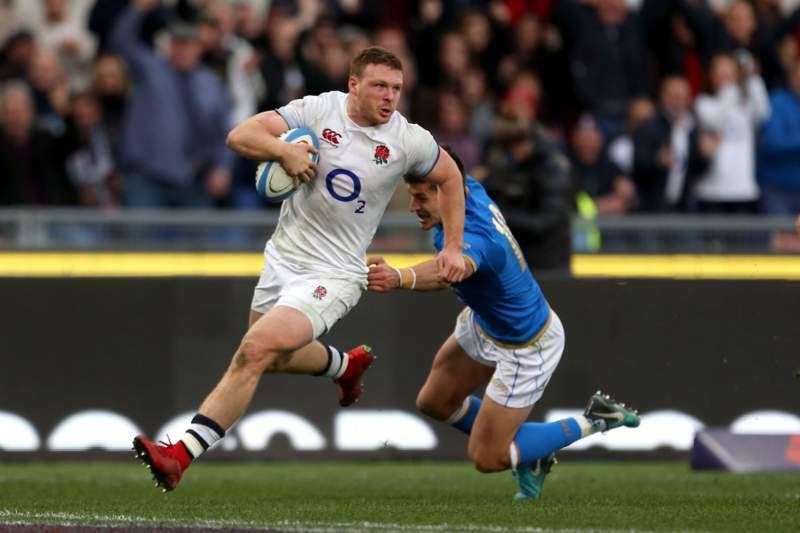 England get their campaign under way against last season's bottom side Italy in Rome on Sunday. Coverage: Watch highlights on BBC Two, online and BBC Sport app from 18:00 GMT; listen on BBC Radio 5 live; text commentary on BBC Sport website. Since the competition began as the Home Nations in 1883, there have been 20 back-to-back title wins, including England's latest double. In all previous 19 times, no-one has gone on to win three in a row. Warburton won back-to-back titles with Wales in 2012 and 2013, but his side could only finish in third place the following year. 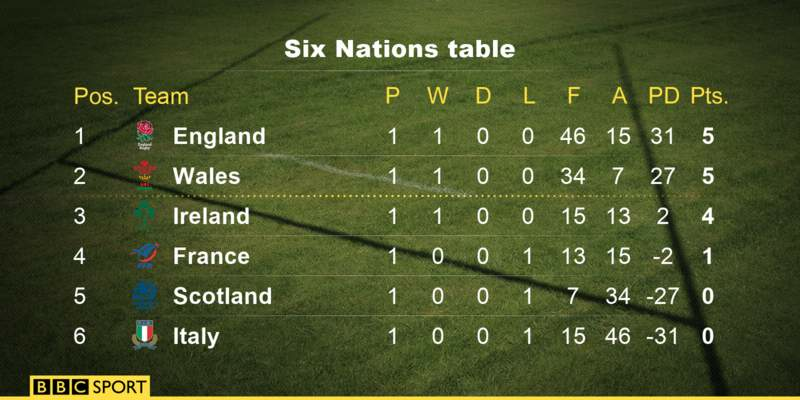 And the Welsh back-row says he "underestimated" how hard the task would be. "Three in a row has never happened. There's a lot of pressure on England. I think I underestimated back in 2012 and 2013 how hard it is to win a Six Nations," he told BBC 5 live's rugby union show. "England against Ireland on the final weekend at Twickenham, I would bet that would be a Championship game. And you'd probably have to go with home advantage. "But if there's an upset in the first two weeks, suddenly the tournament is wide open for Scotland and Wales or Ireland. It's so so difficult to call." Coverage: Watch live on BBC One, Connected TVs, online and BBC Sport app from 13:15 GMT; listen on BBC Radio 5 live; text commentary on BBC Sport website. The build-up to the 2018 Six Nations has been dominated by injuries, amid a backdrop of discussions around the length of the domestic playing calendar. But the first match of this year's tournament is arguably the worst hit - Wales will be without six of their first choice players when they face Scotland in Cardiff. Warburton, Jonathan Davies and Rhys Webb will miss the whole tournament. Three more British and Irish Lions - Taulupe Faletau, Liam Williams and Dan Biggar - will take no part in the opening round at least. Rhys Priestland, Jake Ball and Dan Lydiate are also out, while wings George North and Hallam Amos were not considered match-fit for the first game. "That Wales injury list is horrific," former Ireland centre Shane Horgan told BBC 5 live's rugby union show. "It's their best players and their most important players. "It's almost impossible to see beyond that. These are some of the best players Wales have had in a generation and they're missing." But while Wales' back-line has been decimated, Scotland are facing a crisis of their own in the pack. Gregor Townsend's side have lost hookers Ross Ford and Fraser Brown, tight-heads Zander Fagerson and WP Nel, and loose-head trio Darryl Marfo, Allan Dell and Al Dickinson. 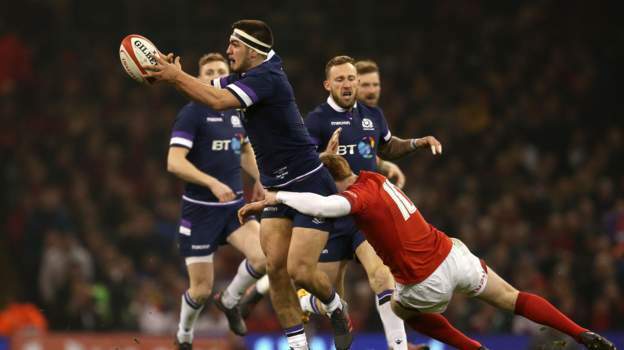 Scotland have not won in Cardiff for 16 years, but they captivated the rugby world with their high-energy displays in the autumn internationals. They won two out of three Tests in November, including a victory over Australia, and were narrowly beaten by World Champions New Zealand. And with England aiming for three consecutive titles, Scotland's fit again full-back Stuart Hogg could take home a triple of his own - a third player of the tournament award in succession. Ireland favourites for the title? Coverage: Watch live on BBC One, Connected TVs, online and BBC Sport app from 16:15 GMT; listen on BBC Radio 5 live; text commentary on BBC Sport website. Ireland are the only side to have beaten England under Eddie Jones, having thwarted their Grand Slam attempt during last year's Six Nations. Joe Schmidt's side begin their assault on the title against an unpredictable French side, who have named teenage debutant Matthieu Jalibert at fly-half. 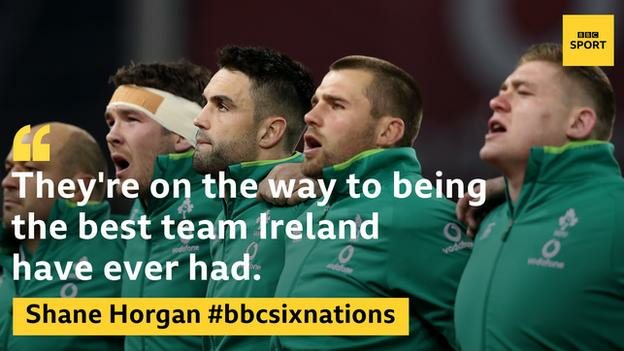 Horgan, who won 65 caps for his country, believes the current Ireland side are the favourites for the 2018 title. 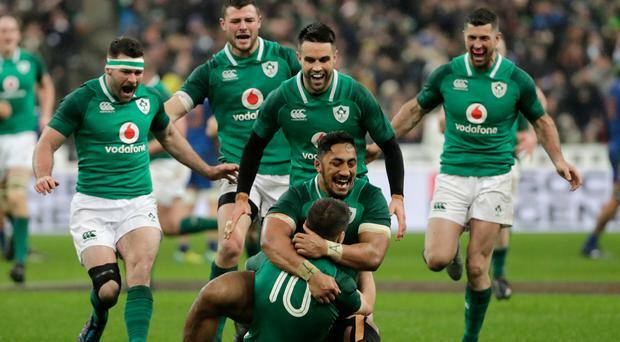 "They're on the way to being the best team that Ireland have have ever had, certainly the most balanced team," he told BBC 5 live's rugby union show. "In the front row in particular, Ireland now have four top quality props. They've never had that sort of depth. I'm convinced Tadhg Furlong is the most complete prop in the world at the moment." 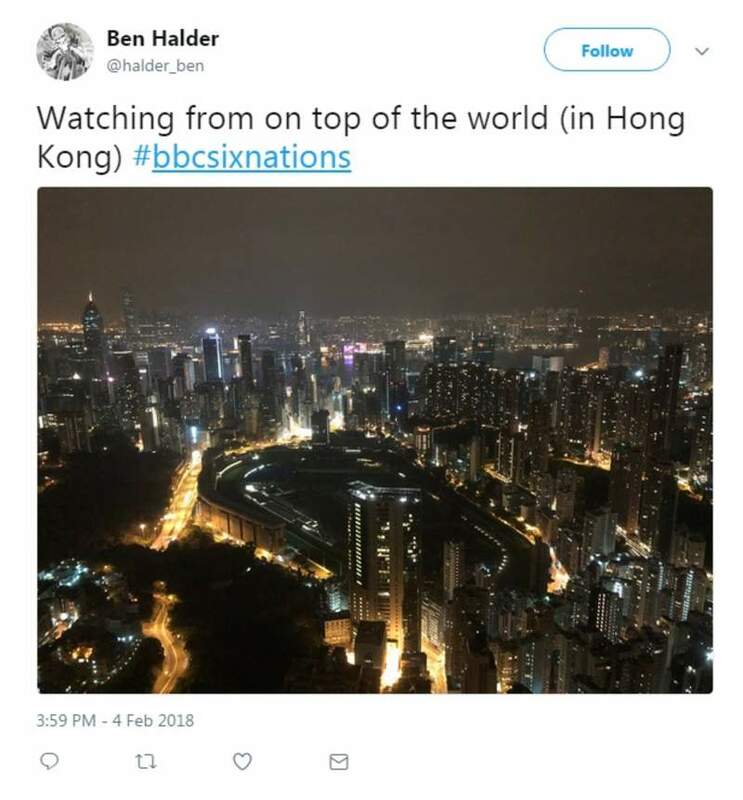 Last edited by Blackleaf; Feb 3rd, 2018 at 06:10 AM..
Wales are beating Scotland 17-0 at half time in this year's opening match. Wales made a dream start to the 2018 Six Nations as they crushed Scotland in a bonus-point win at the Principality Stadium. The home team rocked the much-fancied Scots with early tries by Gareth Davies and Leigh Halfpenny. After the break Halfpenny completed a 24-point haul with two penalties and a second try before Steff Evans dived over for the bonus-point try. The visitors only managed a 79th minute try through Peter Horne. The Scots had travelled in hope after beating Wales for the first time in 10 years in 2017, but were ruthlessly taken apart in the second half. The visitors could not break free from a smothering defence as Wales extended their winning home run against them past 16 years. Full-back Halfpenny had not scored a try in 35 Tests in five years and he also nailed six out of six kicks at goal for a personal best tally in a Test match. But he was beaten to the man of the match award by flanker Aaron Shingler, who was part of a superb Welsh back row. Having dazzled in the autumn series against Australia and New Zealand, Scotland could not get their running game going while Wales confounded predictions with their attacking intent. Their power game in the later stages, however, came as no surprise while Scotland paid a heavy price for errors. Wales: Halfpenny; Adams, Williams, Parkes, S Evans; Patchell, G Davies; R Evans, Owens, Lee, Hill, AW Jones (captain), Shingler, Navidi, Moriarty. Replacements: Dee, W Jones, Francis, B Davies, Tipuric, A Davies, Anscombe, Watkin. Scotland: Hogg; Seymour, Harris, H Jones, McGuigan; Russell, Price; Reid, McInally, Welsh, Toolis, Gray, Barclay (captain), Watson, du Preez. Replacements: Lawson, Bhatti, McCallum, Gilchrist, Wilson, Laidlaw, Horne, Maitland. Ireland snatched a remarkable win over France thanks to a brilliant long-range drop-goal by fly-half Johnny Sexton. After the Irish had led for most of the game in Paris, winger Teddy Thomas scored a fine 71st-minute try to give France the lead for the first time. However, Sexton pulled off his dramatic drop in the 83rd minute to give Joe Schmidt's side a valuable opening win. The incredible last-gasp score denied France a winning start under their new coach Jacques Brunel. Sexton landed four penalties before missing his fifth, which would have given the visitors a 15-6 lead. That failed attempt looked like proving costly when Racing 92 star Thomas scythed through the Irish defence for what seemed like being the decisive score. It'll be fun to see Wales give England a thumping. I'd say a Welsh thumping of a team ranked second in the world (behind New Zealand) on a ground (Twickenham) where the Welsh have only won four times in the last 30 years is likely to be off the cards. Italy full-back Matteo Minozzi and back row pair Sebastian Negri and Renato Giammarioli will all make their Six Nations debuts on Sunday. Lock Alessandro Zanni returns after 23 months to earn his 100th cap. Ben Te'o will make his first England appearance in almost a year after being picked at outside centre. Ben Youngs is preferred to Danny Care at scrum-half, while Sam Simmonds is at number eight and uncapped prop Alec Hepburn is among the replacements. Italy head coach Conor O'Shea: "We think we're in a miles better place than we were 12 months ago. I think we have a better foundation than people understand in our game. "We will go for it and we won't die wondering as opposed to being secure. I'm energised because I know we're making progress." 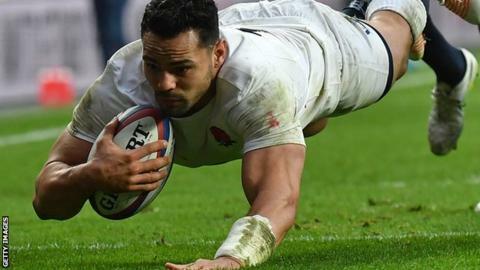 England head coach Eddie Jones on selecting Ben Te'o at outside centre: "Ben will add a different dimension at 13 for us. We want him to hit the line hard, that's what he's good at. For a big man he's got footwork - so hit the line hard. "And that's how we want to play against Italy - a really physical game and set the tone for the tournament. We want to be brutal and absolutely ruthless." England have won all 23 Tests against Italy, only failing to score a try in one of those matches - at Twickenham in 2013 (W 18-11). England have won the 18 Six Nations meetings by an average margin of 28 points. They have lost 11 of their last 12 Tests. The exception was November's 19-10 victory over Fiji in Catania. The Azzurri are enduring a 12-match losing streak in Rome since beating Ireland in March 2013. Italy have been whitewashed in seven of their 18 Six Nations campaigns, including each of the last two. England have earned 23 wins from their last 24 games, all but one of them since Eddie Jones became head coach. They are on a run of five straight victories since losing 13-9 in Ireland last March. Their only two defeats in the last 19 Six Nations fixtures both came against Ireland in Dublin. England have only lost three of 18 opening day fixtures in the Six Nations, against France in 2014 and Wales in 2005 and 2008. Get in there! Mighty England have scored a try after just 3 minutes. Another try for England early on. This is looking ominous for Italy. Did the Italians march down the field towards the English with their hands up? They found it difficult to penetrate a massive white wall, which often then turned into a huge white juggernaut, mowing them down. Ireland ran in eight converted tries to secure a bonus-point victory over Italy and make it two wins from two in the 2018 Six Nations Championship. 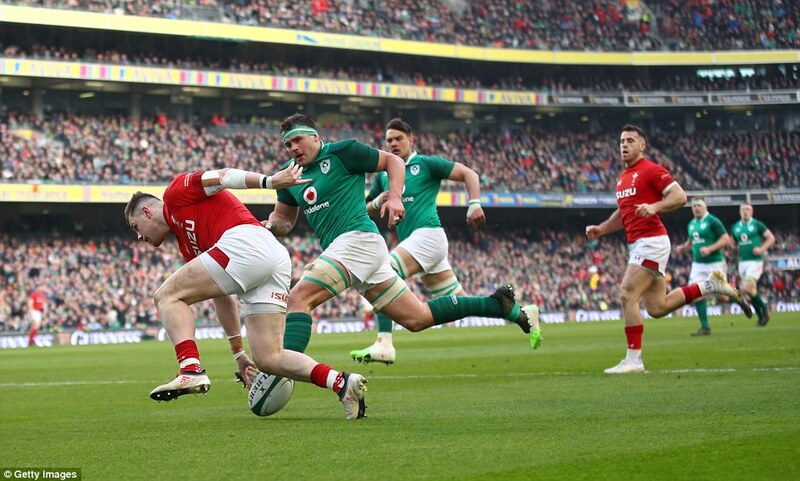 Centre Robbie Henshaw and winger Jacob Stockdale both crossed twice with the others by Conor Murray, Bundee Aki, Keith Earls and skipper Rory Best. However, Ireland conceded three tries in the second half in Dublin. Tommaso Allan, Eduardo Gori and Matteo Minozzi scored for Italy, coached by former Ireland back Conor O'Shea. Despite leaking those points, coach Joe Schmidt will surely be satisfied with how the side has started in the championship. Leinster winger Jordan Larmour, tipped as a rising star of Irish rugby, came on as a replacement when Henshaw was injured and although he showed some nice footwork on debut, he was outshone by Ulster's Jacob Stockdale as he continued the fine start to his international career. Against France, Ireland made 193 carries, 50 more than any other team in round one - but for less than two yards per effort. They also passed the ball 60 times more than any other side, which was a reflection of the possession they enjoyed in Paris, but it was clear Schmidt's team deliberately attacked the France defence around the fringes of the ruck. Against Italy, there was a different side to the Ireland attack, as they attempted to spread the ball wide from the opening minute when Lions centre Henshaw twice got around the corner of the Italy defence. The bonus point was secured before half-time but Ireland kept hunting for more as they used the pace and strength of their wingers to hurt Italy out wide in what as a ruthless performance. Ireland: Kearney; Earls, Henshaw, Aki, Stockdale; Sexton, Murray; McGrath, Best (capt), Furlong, Henderson, Toner, O'Mahony, Leavy, Conan. Replacements: Cronin (Best, 60), Healy (McGrath, 67), Porter (Furlong, 3), Roux (Henderson, 40), Stander (Conan, 40), Marmion (Murray, 50), Carbery (Sexton, 50), Larmour (Henshaw, 44). Italy: Minozzi; Benvenuti, Boni, Castello, Bellini; Allan, Violi; Quaglio, Bigi, Ferrari, Zanni, Budd, Negri, Steyn, Parisse (capt). Replacements: Ghiraldini (Bigi, 44), Lovotti (Quaglio, 36), Pasquali (Ferrari, 56), Ruzza (Negri, 57), Mbanda (Steyn, 44), Gori (Violi, 57), Canna, Hayward (Boni, 56). A pair of first-half tries from Jonny May made it two Six Nations wins from two for England as they stretched their unbeaten home run to 15 games. In wintry conditions at Twickenham May's predatory finishing combined with resolute defence and a canny kicking game held Wales at arm's length despite a tense finale. England, who next face Scotland at Murrayfield, have now won 25 of their past 26 games and remain on target for a third championship title in three years. Wales have won just one of their past six away matches in this tournament, the optimism engendered by their opening-day win disappearing against a white-shirted wall. In freezing, wet conditions the contest exploded into life in the third minute, Anthony Watson beating Rhys Patchell to Danny Care's steepling box-kick, Owen Farrell aiming a perfectly judged grubber-kick deep into Welsh territory and May's pace taking him on to the loose ball and sliding across the line. Farrell missed the conversion but then Patchell, on kicking duties after the late withdrawal of the injured Leigh Halfpenny, dragged a penalty of his own marginally left. The pace barely dropped. England carried the ball into the Welsh 22 and worked phase after phase with pace and precision until Farrell spotted an overlap left. Joe Launchbury took the miss-pass above his head, charged for the corner then conjured up a brilliant off-load - with Patchell and Josh Adams wrapped around him - to find May on his inside, with Farrell converting to make it 12-0. The pace was relentless, the intensity everything this fixture always promises. Halfpenny's replacement Anscombe was unfortunate to have what looked like a try ruled out when the television match official ruled he had not conclusively beaten Watson to touch down a loose ball over the England line. Patchell's penalty got Wales on the board as they finally tested an obdurate English defence before a scrap between Farrell and Gareth Davies escalated into a 10-man melee. But England were worth their 12-3 half-time lead, their greater precision and upper hand in the aerial battle the difference in a breathless contest. England: Brown; Watson, Joseph, Farrell, May; Ford, Care; Vunipola, Hartley, Cole, Launchbury, Itoje, Lawes, Robshaw, Simmonds. Wales: Anscombe; Adams, S Williams, Parkes, S Evans; Patchell, G Davies; R Evans, Owens, Lee, Hill, AW Jones, Shingler, Navidi, Moriarty. Replacements: North for Patchell (56), A Davies for G Davies (66), W Jones for R Evans (58 ), Dee for Owens (65), Francis for Lee (58 ), B Davies for Hill (74), Tipuric for Moriarty (65). Last edited by Blackleaf; Feb 11th, 2018 at 05:55 AM..
Replacements: Lawson, Bhatti (for Reid, 58 ), Welsh, Toolis (for Gilchrist, 58 ), Denton (for Barclay, 65), Price (for Russell, 65), Harris, Kinghorn. Replacements: Pelissie (for Guirado, 75), Ben Arous (for Poirot, 58 ), Gomes Sa (for Slimani, 58 ), Gabrillagues, Picamoles (for Tauleigne, 58 ), Serin (for Machenaud, 41), Belleau (for Beauxis, 71), Fall (on 71). France ended their winless run with an ultimately comfortable win in Marseille to continue Italy's Six Nations misery. 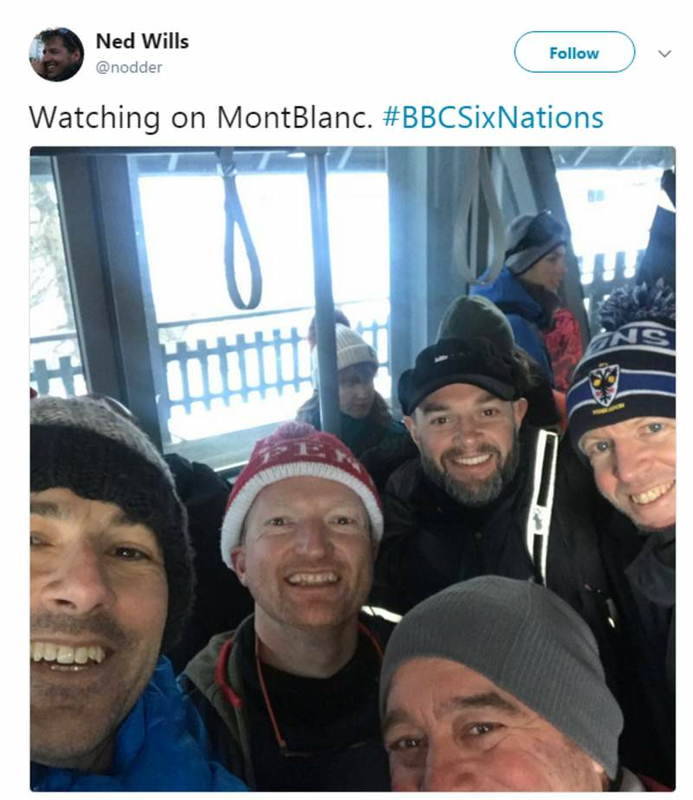 The hosts - playing a Six Nations home match away from Paris for the first time - wasted countless chances before eventually putting away a tiring Italy. With centre Mathieu Bastareaud excelling on his return, France ran in three tries to win for the first time in nine games. Italy have now lost a record 15 straight Six Nations matches. Conor O'Shea's side were in touch at half-time but had no answer to France in the second half, who missed several chances to pick up a fourth try and a bonus point, before full-back Matteo Minozzi's late consolation try for Italy. After defeats by Ireland and Scotland in their opening two games of the tournament and players dropped from the team following "inappropriate behaviour", Jacques Brunel's first victory as France coach was paramount. His side, without a win in eight games, were disjointed at times, but eventually delivered. 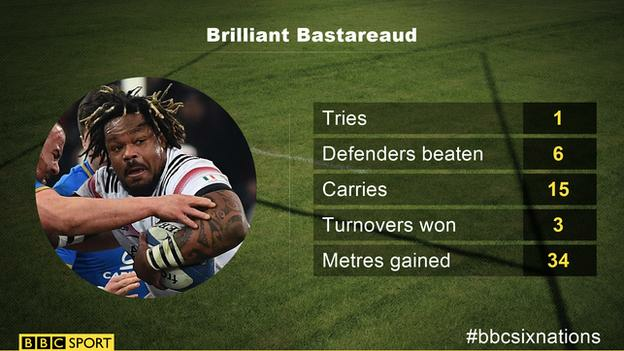 Bastareaud, who had returned from suspension after making a homophobic comment while playing for Toulon, was key. The powerful centre consistently crossed the gain line to give his side momentum and quick ball. Italy led after their early penalty try and could have done again in the second half when, with France four points up, Sebastian Negri broke through. But the cover defence hauled the flanker to the ground and three minutes later Hugo Bonneval was sent over after good work by Bastareaud and wing Remy Grosso. France's strength in depth told in the final quarter as their replacements came off the bench and Italy tired with Bastareaud burrowing over from close range. Italy are now faced with the prospect of a third successive wooden spoon, while France will relish the chance to upset England in Paris in their next match on 10 March. 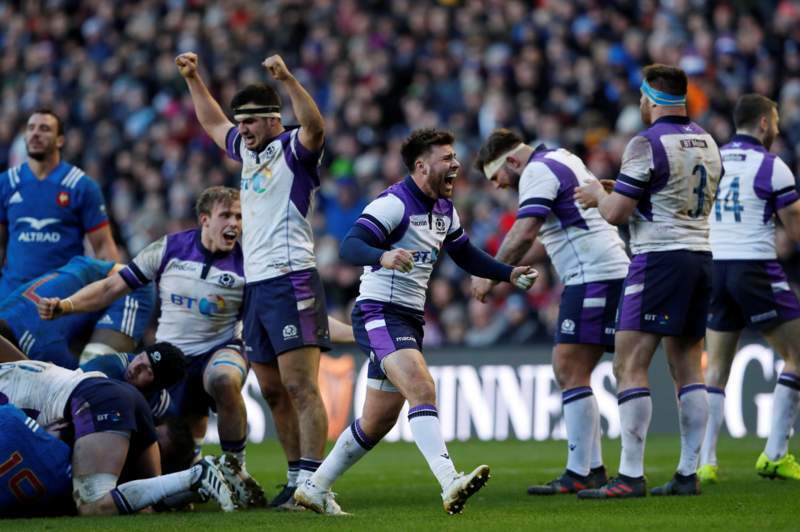 Scotland scored three tries to earn a thrilling first victory over England since 2008 and open up the Six Nations title race at an exultant Murrayfield. 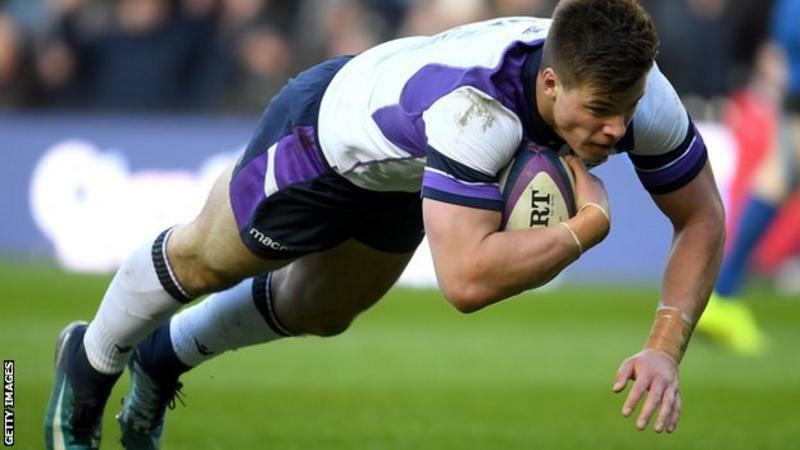 Centre Huw Jones scored two tries - Scotland's first against England at home in 14 years - and Sean Maitland grabbed another as the hosts led 22-6. Owen Farrell landed two penalties, and his converted try on the resumption brought England to within nine points. But Finn Russell's penalty after a Sam Underhill shoulder charge sealed it. Underhill was yellow-carded for his no-arms challenge, giving Scotland a man advantage from the 66th to the 76th minute. 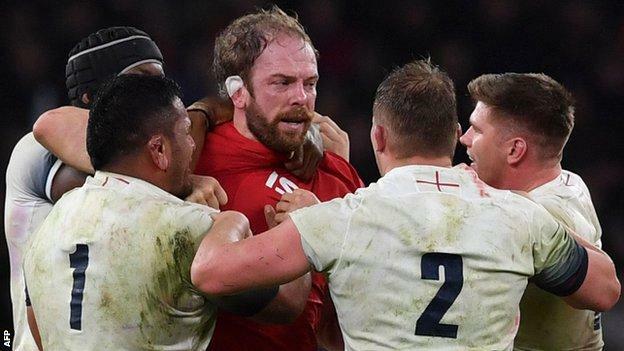 It was only a second defeat for England in 26 Tests under head coach Eddie Jones, and ended their hopes of a second Grand Slam in three years. They remain in contention for a historic third successive Six Nations title, but now trail leaders Ireland - who they face in the final round - by five points. 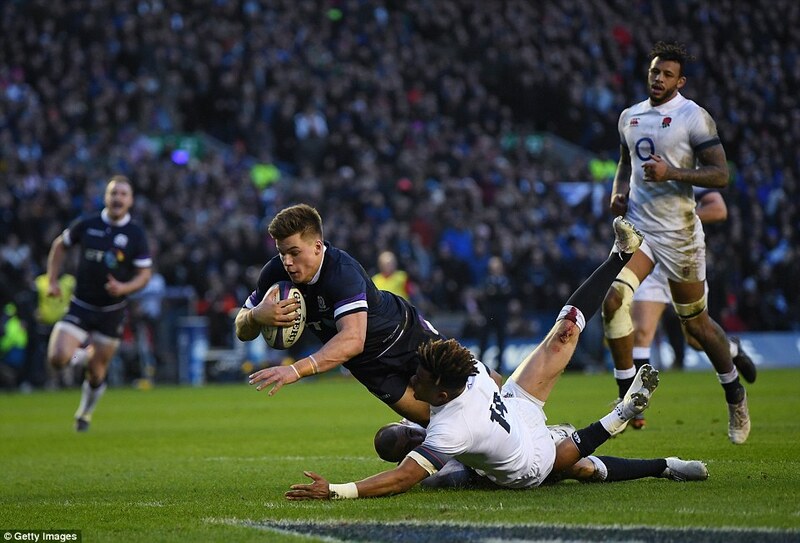 After a break next weekend, England will face France in Paris on Saturday, 10 March, while Scotland - after a sixth successive home Six Nations win - will head to Dublin to tackle Ireland earlier the same day. Ireland inched closer to a potential Grand Slam by beating Wales in a thrilling Six Nations battle in Dublin. Winger Jacob Stockdale scored two tries with Bundee Aki, Dan Leavy and Cian Healy also touching down for the Irish. 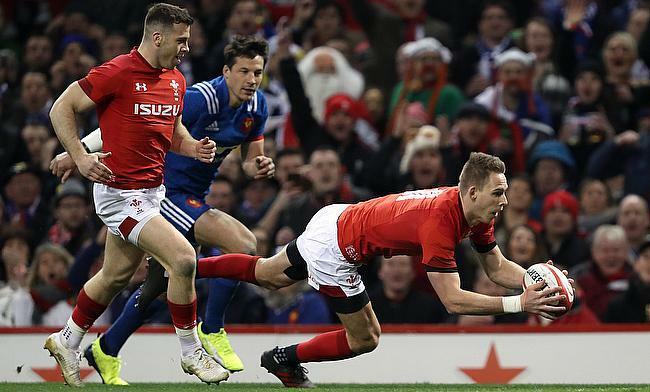 A score by Gareth Davies had briefly given Wales the upper hand and second-half tries by Aaron Shingler and Steff Evans left the result in the balance. But the visitors were undone by a lack of discipline in head coach Warren Gatland's 100th game in charge. Ireland will take a 100% record into their next match at home to Scotland on 10 March, seven days before the St Patrick's Day meeting with England, who were beaten 25-13 by Scotland on Saturday. Welsh title hopes are effectively at an end after losing to the Irish in the Six Nations for the first time since 2014. 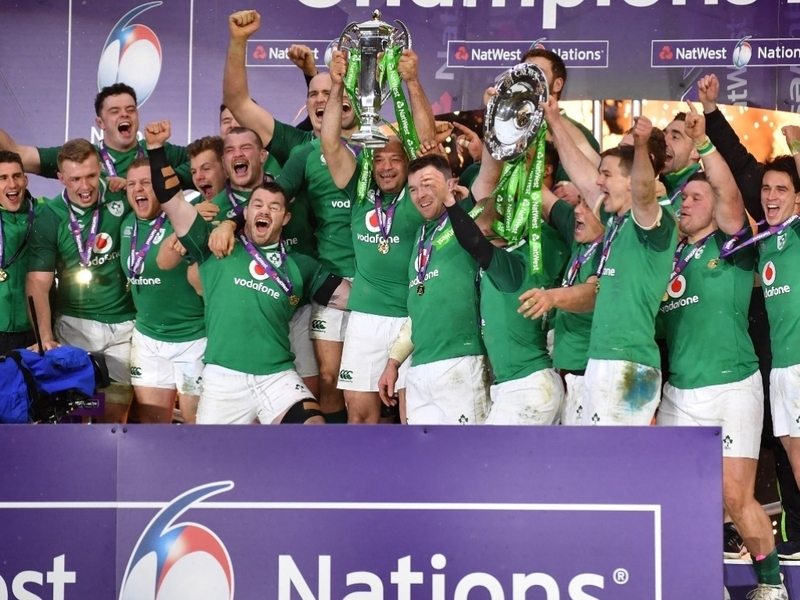 Last edited by Blackleaf; Feb 25th, 2018 at 11:33 AM..
Ireland have been crowned Six Nations champions with a match to spare after England's hopes of retaining the title ended with their 22-16 loss to France. "We know how difficult it will be [to win the Grand Slam]. 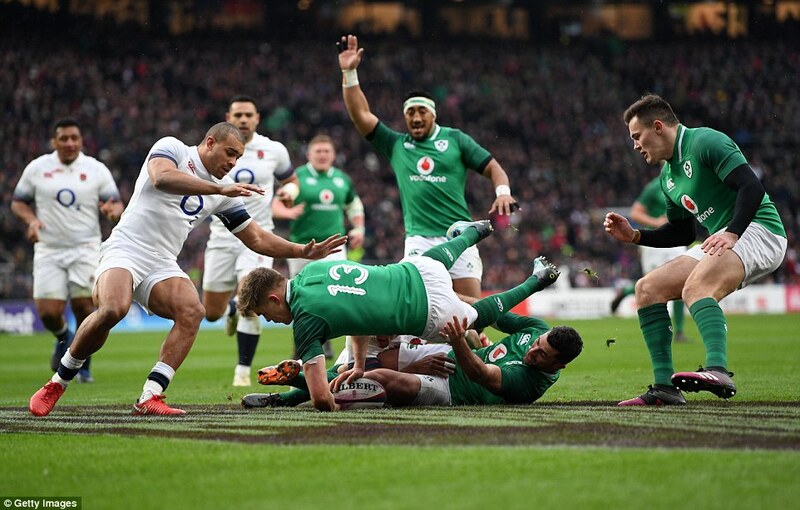 The shoe is on the other foot from last year [when Ireland ended England's Grand Slam hopes with victory in Dublin on the final weekend] and I am sure they will be licking their lips." If Ireland win in London they will secure the third Grand Slam in their history, following previous triumphs in 1948 and 2009. "It's going to be a big game for us now," said Ireland captain Rory Best. "Whenever you put yourself in the position to win everything in the Six Nations it becomes massive, but the key for us is approach it as we do every game. "We are going to have to save the best till last. That's what it's going to take to win everything next week." Much-changed Wales rose to second in the table as they handed Italy their 16th straight Six Nations defeat. After Warren Gatland made 10 changes, two tries from George North and scores from Hadleigh Parkes, Cory Hill and Justin Tipuric sealed the win. The hosts also had Liam Williams and Gareth Davies sin-binned. Wales will finish second behind newly-crowned champions Ireland if they defeat France with a bonus point on Saturday, 17 March. Last edited by Blackleaf; Mar 11th, 2018 at 01:07 PM.. The Six Nations are: Mohawk, Cayuga, Onondaga, Oneida, Seneca and Tuscarora. 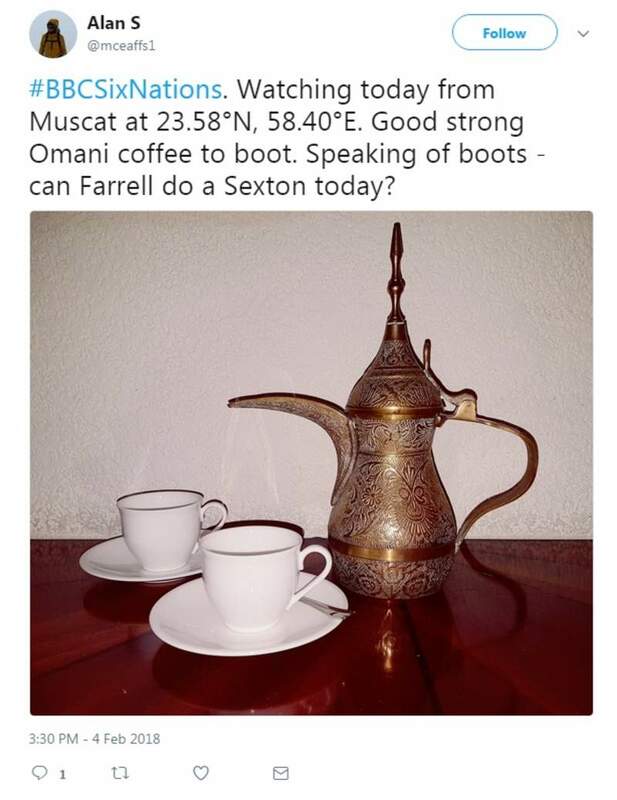 The Six Nations Championship (known as the NatWest 6 Nations for sponsorship reasons) is an annual international rugby union competition between the teams of England, France, Ireland, Italy, Scotland and Wales. The current champions are Ireland, having won the 2018 tournament. The Six Nations is the successor to the Home Nations Championship, played between 1883 and 1909 between teams from England, Ireland, Scotland and Wales, which was the first international rugby union tournament. With the addition of France in 1910, this became the Five Nations Championship, which in turn became the Six Nations Championship with the addition of Italy in 2000. England hold the record for outright wins of the Home Nations, Five Nations and Six Nations tournaments, with 28 titles, although Wales follow closely with 26 outright wins with the addition of 12 shared victories to England's 10. Since the Six Nations era started in 2000, only Italy and Scotland have failed to win the Six Nations title, although Scotland were the last winners of the Five Nations in 1999. Last edited by Blackleaf; Mar 11th, 2018 at 02:18 PM.. When are going to stop posting this Eurocrap on a Canadian board? When the Sports section has gone to be replaced by a Canadian Sports section. Six Nations ... Should be Lacrosse. 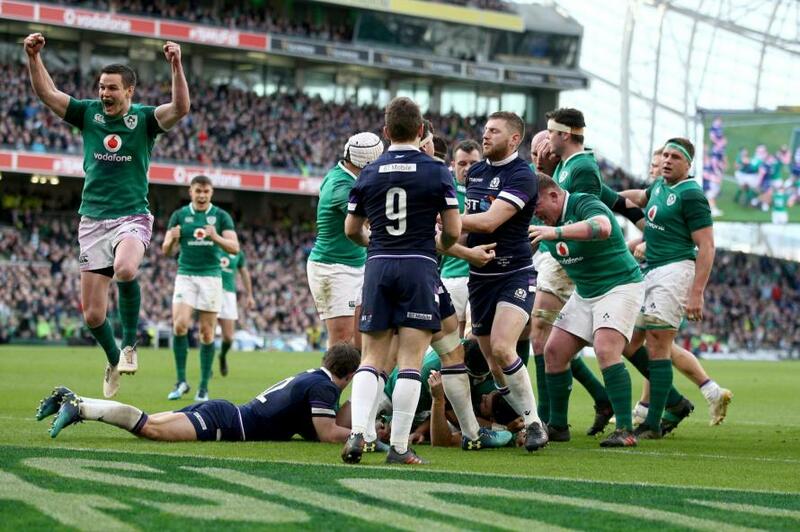 Ireland thumped England on St Patrick's Day to win only the third Grand Slam in their history in thrilling fashion. First-half tries from Garry Ringrose, CJ Stander and Jacob Stockdale lit up a snowy Twickenham as Joe Schmidt's men opened up a 21-5 lead despite having Peter O'Mahony in the sin bin. A double from Elliot Daly and Jonny May's try with the clock in the red at the end of the game brought only faint consolation for the home side on another chastening afternoon for Eddie Jones. Clinical with their chances, composed on an afternoon of immense pressure, Ireland were fully deserving of their triumph. This team now joins the heroes of 1948 and 2009, their thrilling blend of experience and youth a class above their northern hemisphere rivals. England had won 14 matches on the bounce at Twickenham but their poor Six Nations went from disappointing to disastrous under a green-shirted onslaught. 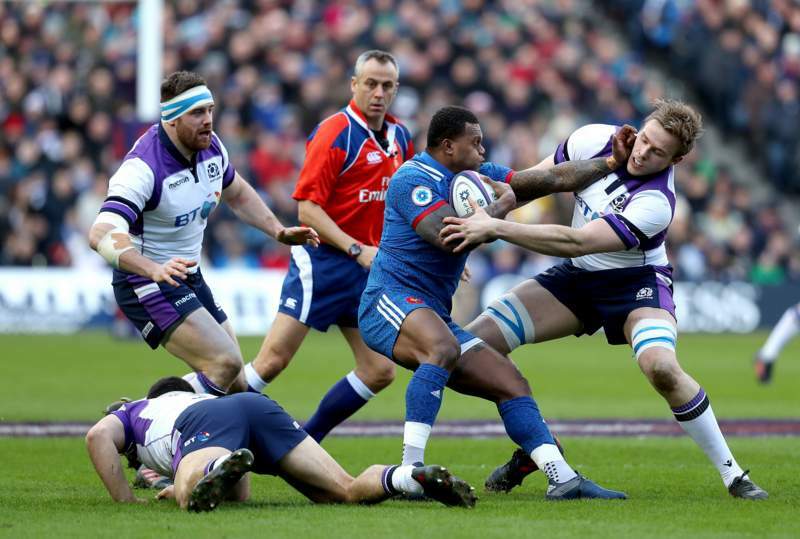 Not since the dark days of 2006 have they lost three matches in a single Six Nations campaign, and with Scotland beating Italy and Wales beating France in the late kick-off, they eventually finished fifth in the table for the first time. Wales secured second place in the Six Nations behind Grand Slam champions Ireland following a hard-fought one-point victory over France in Cardiff. A Liam Williams try and three Leigh Halfpenny penalties gave Wales a 14-10 interval advantage. Gael Fickou scored France's try and the visitors enjoyed second-half possession and territory dominance. Wales' dogged defence held firm for victory with only three points scored in the second-half. It was not a vintage performance from Wales in a scrappy match but the victory represented a third home win for Wales to go alongside away defeats to England and Ireland. Wales might have not won this tournament now since 2013, with Ireland and England claiming the last five titles, but they will be buoyed by second place. More than 30 players have been used by Warren Gatland in this tournament as Wales have developed more strength in depth ahead of the World Cup in Japan next year. This led to selection dilemmas ahead of the Six Nations finale with Gatland making seven changes from the side that defeated Italy after changing 10 the week before. The selection included the return of captain Alun Wyn Jones who had signed a new national dual contract this week to stay at the Ospreys, and the Lions lock responded with a majestic man-of-the-match performance. Dan Biggar was recalled at outside-half, preferred to Gareth Anscombe and Rhys Patchell, while Toulon centre Mathieu Bastareaud captained France in place of the injured Guilhem Guirado. Wales started the game aware a draw would be good enough for second place after Scotland's victory over Italy and England's defeat to Ireland. Greig Laidlaw's 79th-minute Scotland penalty denied Italy their first Six Nations victory since 2015 in Rome. 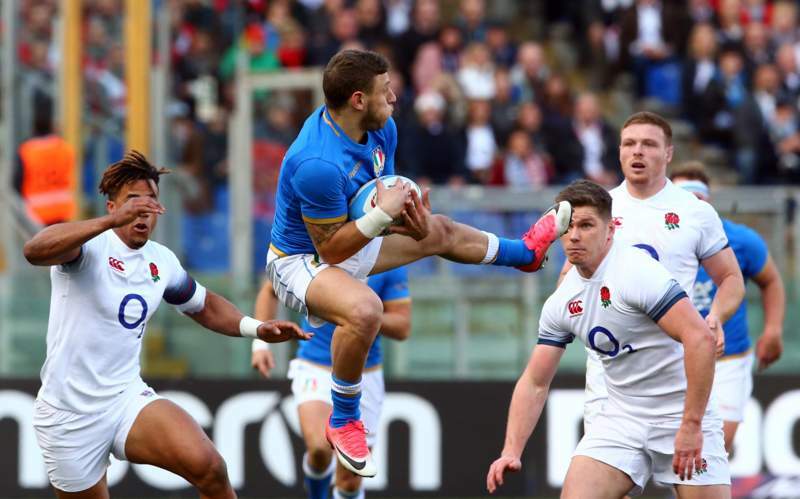 Tommaso Allan had booted Italy ahead in a dramatic final 10 minutes, before Laidlaw's decisive strike. Former Scotland Under-20 fly-half Allan contributed 22 points, including a try in each half, and also set up Matteo Minozzi to touch down. Fraser Brown, John Barclay, Sean Maitland and Stuart Hogg scored for the Scots, who earned a try bonus point. Gregor Townsend's men were frequently pedestrian and error-strewn in possession, but battled back from 12 points down in the second half. Scrum-half Laidlaw's late kick claimed the visitors their first away championship win since beating Italy two years ago. The Scots have matched their 2017 tally of three wins from five, while winless Italy pick up the Wooden Spoon. Last edited by Blackleaf; Mar 18th, 2018 at 11:38 AM.. Champions League gets under way.